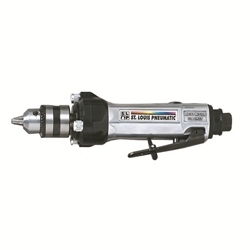 Air Tool High Speed Lighted Buffer with 3/8in Jacobs 20000RPM 31inc 14-325L / BOWES TT 37325L. Revolutionary technology brings light to the work surface via the "on-board" generator. Illumination of the work surface enhances visibility, safety, and productivity. Features 20,000 RPM, rear exhaust performance. With .4 horsepower, makes quick work of patchwork, tire scuffing, and cleaning of tire moldings. Equipped with safety throttle lever.